Do you need a skip in Eastbourne? Recycling and waste management experts Haulaway can help with Skip, Rolonof, Tipper or Grab hire. Haulaway is a family run waste management company with over 25 year experience in skip hire and recycling and a strong reputation for supplying quality skip hire and haulage. We have a fully trained, skilled and experienced team to help and give you advice on the most appropriate skip for your requirements. A professional service is guaranteed. We operate two licensed sites in Hailsham and Polegate including a waste transfer station and a recycling distribution facility. From small garden jobs to large property clearances, Haulaway has the best skip size to suit your project. With over 90% of waste being recycled, this not only ensures a greener environment but also assists in your cost with the ever increasing landfill tax. Haulaway offers a flexible service and our locally based depot can respond rapidly to your site request. If you need a skip for either domestic or commercial properties, contact Haulaway today to discuss your needs. 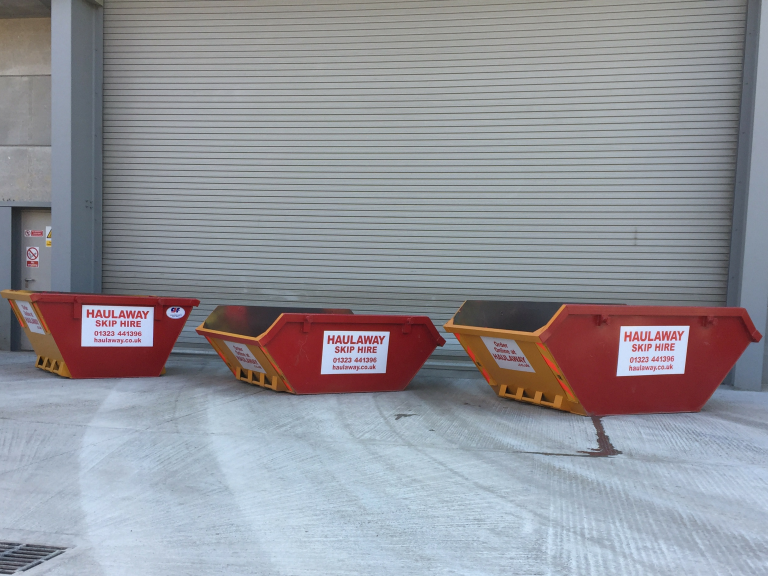 We have a comprehensive range of skips which are ideal for a wide range of waste streams, from general household and garden rubbish to mixed demolition and construction waste. Haulaway are currently working with various partners to recycle even more waste products. Our aim as a Company is to be able to recycle everything! With our own licensed Waste Transfer Depot, we are able to recycle over 90% of the waste we collect. We work closely with large construction companies, local council authorities and the Environment Agency but also with homeowners to provide total waste management solutions, whatever the project. All waste is sorted thoroughly at our Waste Transfer Site in Hailsham. Recyclable materials are then taken to our Polegate facility where they are baled and then shipped to various locations for recycling, like China. All of the wood we receive is shredded to chip and sent to be used as fuel for energy. We are committed to excellent service and high standards of work when it comes to recycling in order to minimise our impact on the environment. Call the friendly team to discuss how to meet your recycling targets. 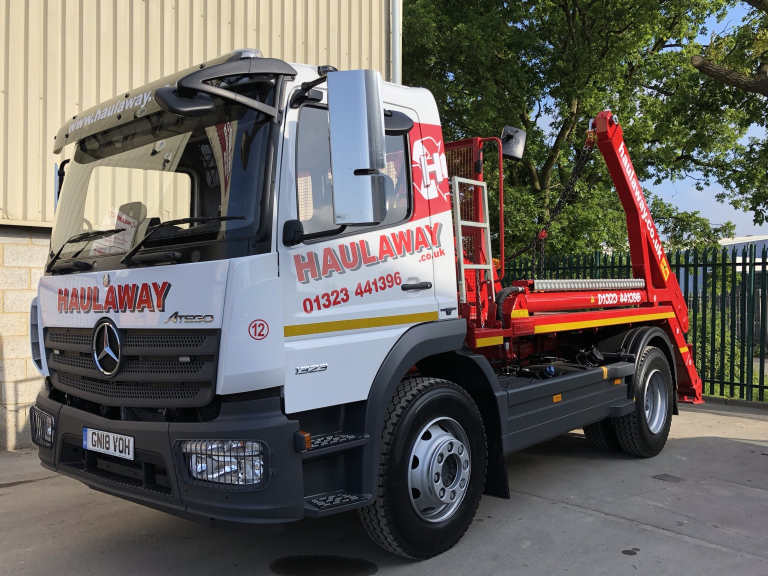 Haulaway offers professional skip hire, rolonof, grab, tipper and plant hire, cardboard recycling and recycled aggregates from our depot in Hailsham, East Sussex. We are happy and willing to give you advice and help manage your project. For further information about any services provided, please call Haulaway today on 01323 453258.